The soft shell crab season is about to start (it usually runs from May to July) and I thought I would share a soft shell crab recipe that I really like with you. Typically found in Japanese restaurants, these homemade soft shell crabs were coated with panko, deep fried, and served with ginger ponzu sauce. Panko, or Japanese bread crumb is one of the many secrets of Japanese cooking. I simply adore soft shell crab. It’s a real delicacy and a true treasure as the whole crab can be eaten as is–which is a great perk in my opinion as I don’t have to crack up a storm to extract the crab meat from the shell–so less hardwork and more gastronomic goodness. Now, that’s a keeper. 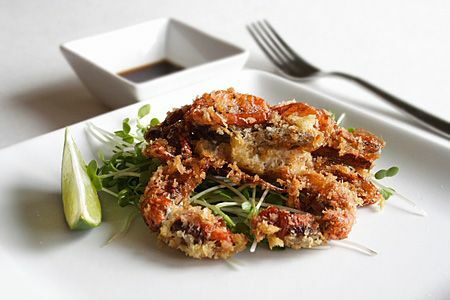 Typically found in Japanese restaurants, these homemade soft shell crabs are coated with panko, deep fried, and served with ginger ponzu sauce. 1) Heat up vegetable oil to 300 degrees in a deep pot or deep fryer. 2) Clean the crabs with water and blot them dry with paper towels. 3) Coat crabs with the egg and then panko. Make sure that the crabs are well-coated with panko before you fry them. 4) Deep fry each crab separately until the shell turns red and the panko becomes golden brown. 5) Remove and drain crabs; set aside. 6) Discard the roots of the radish sprouts. 7) Season the radish sprouts with a little olive oil, salt, and black pepper. 8) Mix the ponzu sauce with the grated ginger and transfer to a small serving bowl. On a plate, serve the crabs on a bed of radish sprouts and the ponzu sauce. I never had soft shell crab before but I heard it was too delicious & hard to resist! And your photos make me hungry now! Is ponzu sauce found in Asian Supermarkets too? Or is it a Japanese kind of sauce? thanks for reminding me that crabs are in season! Now I can’t wait to go to the store and look for them! The Expedited Writer – I know, and the fact that they are seasonal and not everyday food just make them even more appealing. Simcooks – It’s Japanese but can be found at Ranch 99, or the Albertson’s of the world. I bought ponzu sauce for the first time a couple of months ago; thanks for another tasty way to use it! I can’t wait to try this recipe as it seems simple enough. I almost bought live blue crabs but then balked at the idea of having to kill and clean them. Shudder. Nice… I would really like to taste it. 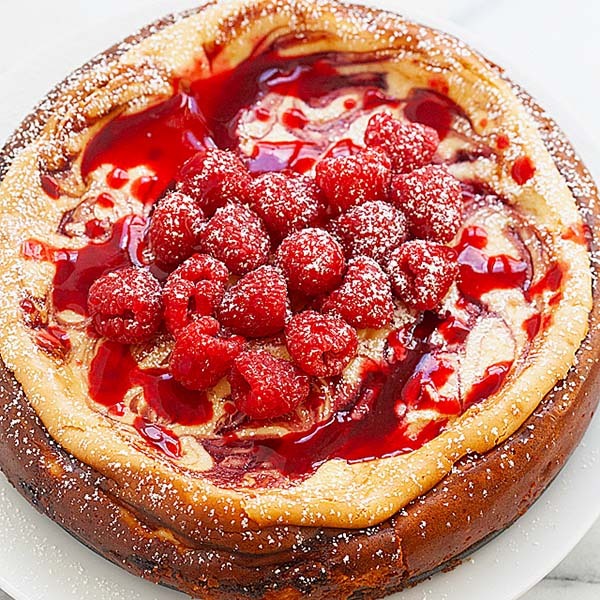 It looks delicious! Oh, yum. This looks great, as always. yummy i love soft shelled crabs. we eat them at the sushi restaurants. :D how much does it cost to buy a soft shelled crab? Your cooking ability is so versatile RM! I love how you can master the most difficult dishes of all the cuisines (Chinese, Malaysian, Japanese, etc.) I learn so much from you and am so grateful for all of your educational and delicious posts. Looks gorgeous, as always! 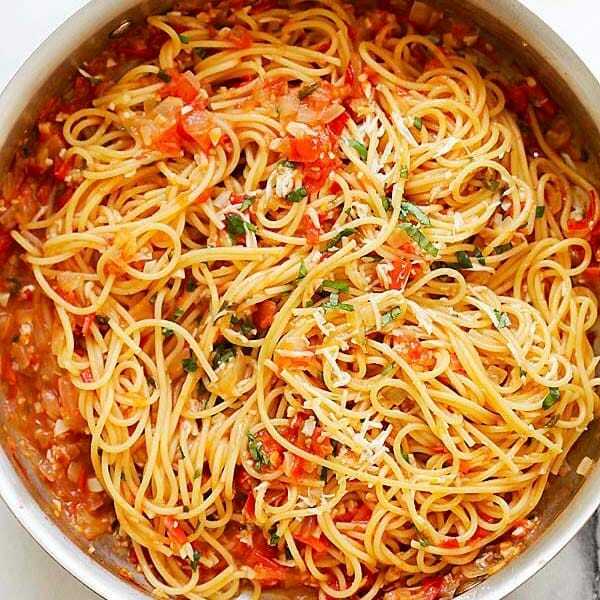 Yet another truly wonderful looking dish, it’s so delectable! Only hope to be able to taste it! Ha ha …. I love soft-shell crabs too!! And I agree with you, less messy yet so crispy crunchy delicious! I will start looking out for it…but wonder if I will buy to cook it. Soft-shell crab is my favourite…and your luscious plate so mouth-watering. I so envy your hubby! I like the soft natural light style of your photos. Keep writing too. It is a great blog for foreigners and overseas Malaysians/Singaporeans. This is SO UNFAIR!!!! Softshell crab is my favorite food ever, but we can’t get them in France. Oh, how I envy you. Eat some for me and think of all of us less fortunate. Yr recipe & pixs do look so foreign ! Maybe they are right ? yum yum! !..unfortunately i dont think i will ever enter the kitchen to cook soft shell crabs..so i can only go to a restaurant and eat..wat a waste.. I saw this documentary on TV about soft shell crab. It’s actually evil how they grow soft shell crabs…. that documentary really got to me. Hi RS, if I share with you how they cultivate soft shell crabs, I think you won’t touch a soft shell crab for a long long time. Mine lasted 2 years! Last summer I started making crabcakes with panko, and this recipe reminds me that it’s time to get into crab mode again! 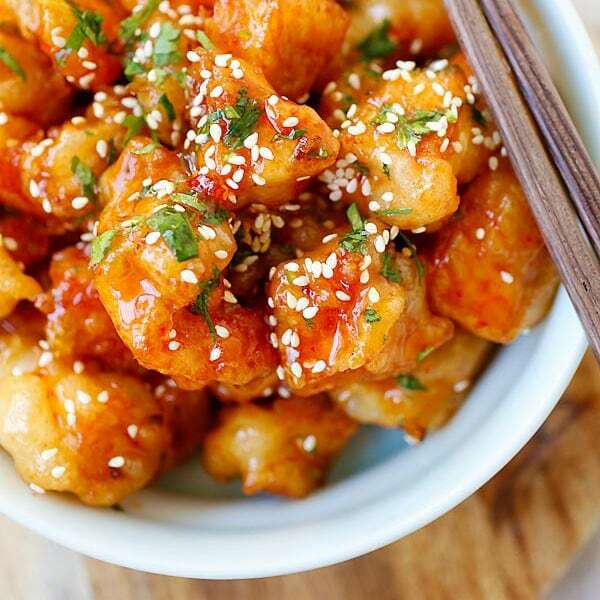 The photo is making me hungry! Penangite – I used to love blue crabs but now that I have access to meaty dungeness crab, I no longer eat blue crabs as they are hard to eat. But I must say that the meat is very very sweet. Danielle – thanks. By the way, have you ever seen soft shell crab in New York’s Chinatown? I bought mine frozen. Budding Cook – they are not too expensive, $10 for four of them, a lot cheaper than restaurants. WMW – I never see soft shell crab in Malaysia. Can find? Tiga – if they are on sale at 99, I think they are worth the money and effort to make them at home. Precious Pea – can find soft shell crab in Malaysia? I have never seen them served in Malaysia though, but I might be wrong. Anonymous – I am sorry to hear that you can’t find them in FR. What about frozen ones? Try Asian stores, maybe you can find them? Teckiee – really? Oh no, don’t tell me yet okay? Audrey – oh no…maybe Teckiee and you watch the same documentary? mmmm my hubby’s fave. so when you coming back bee yinn?? we missed you at the gathering! We have it in Malaysia but in restaurant. Never seen then in the market though, probably all sapu by those restaurants. I saw that documentary too. Shocked & turned me off for ..err.. 2 weeks. Too delicious-lah to resist. It don’t seem to be a seasonal dish over here. Can get it anytime. WOW! Looks delicious. I think I’ve only had fried soft shell crabs at sushi restaurants. I think I’m going to hunt down a restaurant that serves soft shell crabs like you presented. Don’t you have to clean the inside of it? Babe – I wished I could join the flogger get-together…sigh, but I share you guys happiness through the blogs of the attendees. I don’t know when I will be going back again…it’s TBD. 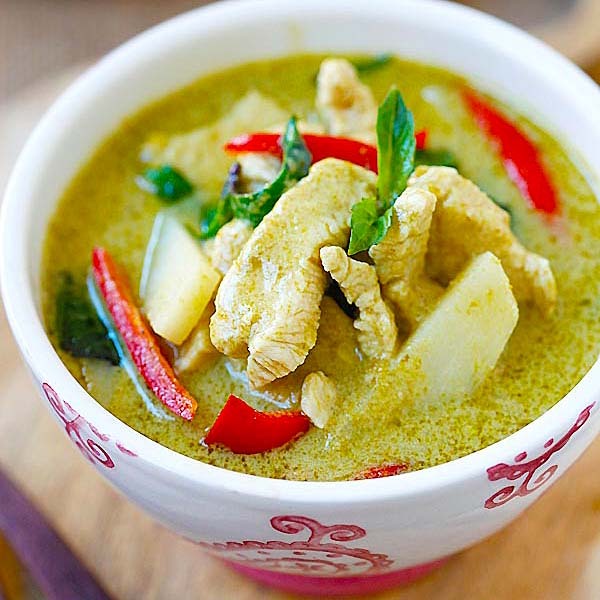 PP – you are probably right about being sapu by restaurants because I never see them in the market. Tummy – only two weeks? LOL. Yeah, I can’t give up too-delicious food either. Ming – go to yakitori restaurant and you can request them to coat the crab with panko…they would do it for you. I am sure. :) No, no need to clean the inside of the crab, that’s another perk…so easy. 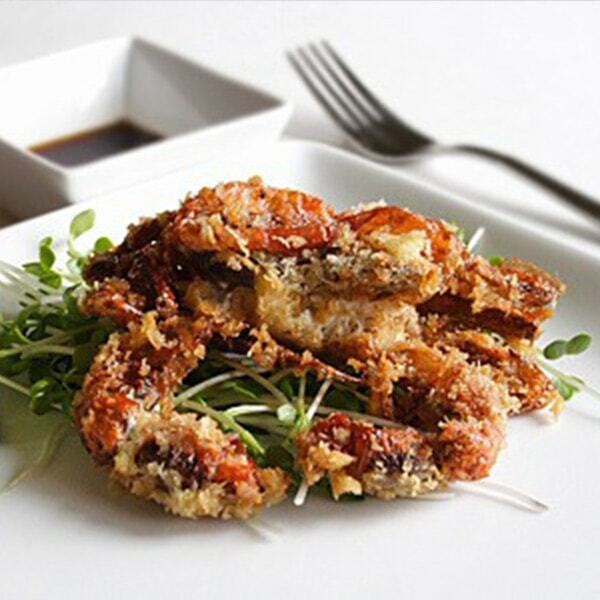 What an interesting dish panko-crusted soft shell crab with ginger ponzu sauce. I will try your panko-crusted soft shell crab with ginger ponzu sauce recipe. I tell you, panko is the only way to fry soft shell crab. It tastes simply amazing. The panko bread crumbs give it a light, yet crispy coating that is much better than using regular bread crumbs. The type of oil makes a difference too. I prefer to use olive oil in a cast iron pan until crispy-brown arounf the edges.